Have you asked yourself why companies, business owners, and organizations are investing in customer relationship management software (usually referred to as CRM)? After many studies, it was discovered that CRM software integration offers many benefits to the business in various ways. 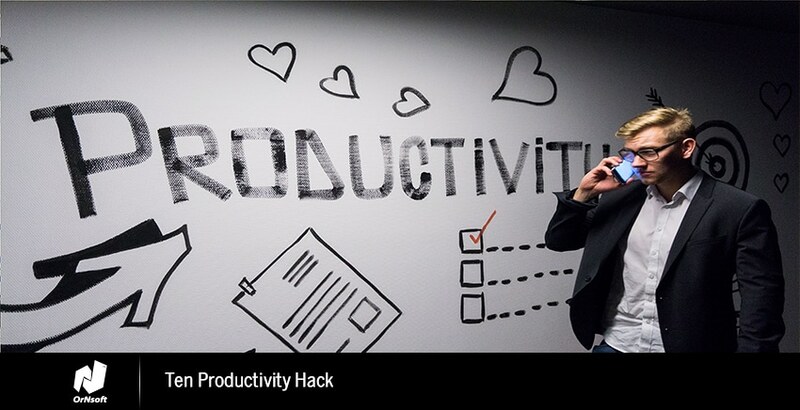 This strategy according to studies has a great impact on business by improving the business more than 46% compared to those that do not use it. CRM software is an on-premise or cloud hosted software which has been rated the second largest software market after ERPs. The CRM software aims to actively engage more customers to take advantage of the new technology and remain competitive in the modern crowded business environment. Professionally integrated CRM software has been studied to offer numerous benefits in business activities such as marketing, sales, follow-ups, retargeting, and much more. This content has put together various positive effects of customer relationship management (CRM) software integration in business activities as studied and reviewed by the users. But before discussing that, let’s quickly dive into what CRM actually means in the business concept. Customer relationship management (CRM) can be described as strategies, technologies, and methods used by companies to evaluate and manage customers’ information, and interactions of the customer transactions with the aim of enhancing business-customers relationship for the purpose of customer’s retention and business growth. The systems are designed to gather customers’ information from all available channels which may involve the company’s website, direct mail, live chat, telephone, social media and other marketing channels. Through CRM systems, customer’s data such as purchase history, personal information, buying preferences, interests, and other related transaction details can be analyzed. Customer relationship management (CRM) software has many functions in today’s world. It integrates documents and customer data into a lone CRM database for easy access by the users. CRM software also helps record various customer communications on different channels like social media, phone calls, email, and other channels, based on the capabilities of the system. It also automates numerous workflow processes like alerts, calendar, and tasks, and as well as helping managers to track productivity and performance using the information entered in the system. CRM software has been shown to help and have positive impacts on many scales of business ranging from small, medium, and large scale enterprises. This will be discussed next. Customers engagement: One of the main benefits of CRM software is to help the business to get close to its customers who may be beneficiaries, business associates, members, donors, contributors, stakeholders and any other contacts who transact business with a company or organization. The company can understand their customers better and respond to their needs promptly. 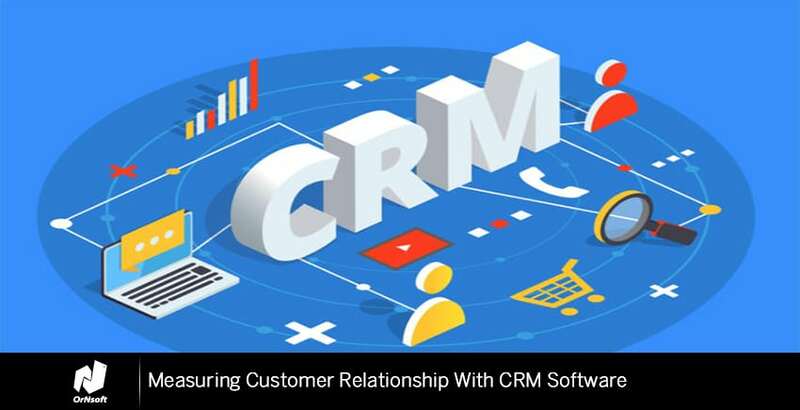 CRM system displays true picture of each customer relationship with the business and this has had significant effect on the business activities as business owners can easily connect with their customers, inform them of their new products, promotions and much more. Boosts sales: The goal of every business is to increase sales and maximize profit and this has been the reason to integrate CRM strategies into your business activities. CRM software enables you to target serious and interested leads and reduce time spent on pursuing prospects. By having access to your centralized CRM system, you can secure the whole processes information and check their transaction histories to know potential leads for possible up sell opportunities. CRM software helps the business to identify valuable and prospective customers and organize a form of reward system to promote business relationship and increase conversion rate. The sales processes can be efficiently analyzed to discover weak links and come up with a solution to boost sales. Helps discover new ideas: It is a great source of ideas for business owners, sales team, and marketing team. CRM software shows customers’ responses to the business to help strategize and come up with meaningful strategies to make the business grow. The system presents customer relationship and process data through a single interface to help decision making and enable companies to perform with more enthusiasm. It helps business organizations to utilize the ideas gained from CRM software to drive the business proficiently with a huge return on investment (ROI). Many insights such as logged-in service issues, current volume trend, and individual with most resolved issues, time-consuming issue, cases resolved through single calls, and much more can be gotten from CRM software. A well-connected CRM with expert coverage services like Power B1 to view information is efficient to understand activities better and achieve helpful insight. OrNsoft custom CRM technology can give all you need to maximize your customer relationship management strategies. Increases efficiency and profitability: CRM software is flexible and can be accessed by your employees to get required details of customers and respond to their needs promptly. This tends to increase your business efficiency to ensure sales opportunities are not lost. Profitability is not about increasing sales but maximizing profit through efficiency. The efficiency of the employees can sometimes play a significant role in increasing your profit and promoting your brand. This is possible only if they have the tool at their disposal. For example, let’s assume a customer complains of a faulty product, and the customer service can access the logistics’ database to inquire about the product’s details. They can take a step to arrange a replacement for the customer and this resolution can save the business and cement relationship with the customer. This leads to customer engagement and in the process, tracking system has been established for future reference. Mobile friendly to increase productivity: CRM software allows field team to work anywhere without hindrances. Each employee carries out their duties anywhere they are with the availability of productivity tools which empower them to create, analyze, and work on the customer relationship as applicable. This helps them to respond to customer requests, respond to leads, and control the existing sign-ups on the go. Protect data security and business: Easy access to customer information by your employees does not mean the security of your business and your customer will be compromised. The security of your customers’ information and transaction is securely kept in the system. CRM software is also equipped with the function to control the authorization of employees’ access to information on the system. CRM software has advanced security and automatic back-up to protect every activity from unauthorized events. 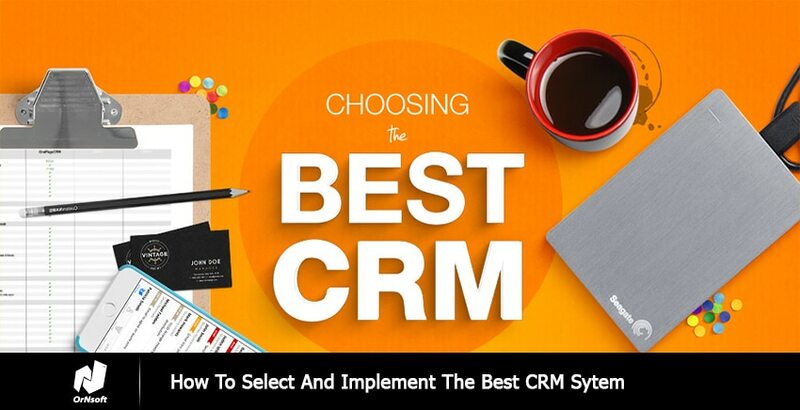 On a final note, it is known that CRM system helps business activities in many ways; however, care must be taken in selecting the vendor to host or integrate your CRM software. Do not rush to invest in any CRM system. The first step is to evaluate the needs, expectations, and objectives for your business and professional select the right cloud host. This helps you to get the best service and most cost effective CRM system you need. 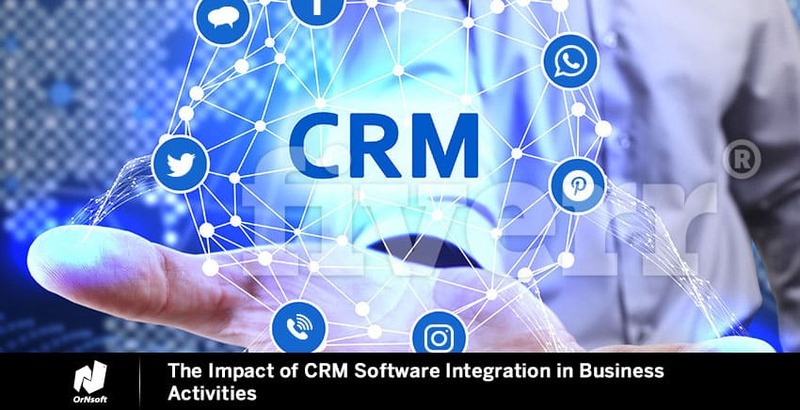 OrNsoft has researched and discussed the impacts of CRM software integration in business activities to enlighten you on its benefits. Our custom CRM development and software integration have been tested and reviewed by our numerous clients to be the most effective and cost efficient CRM solution. If you want to enjoy all the listed benefits, you have to select a robust and suitable CRM application system and this is where you can get it. Reach us now!